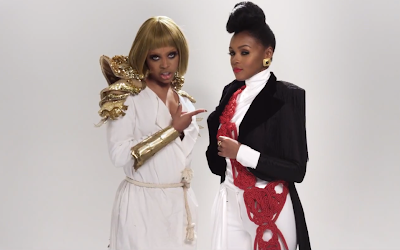 A great single deserves a great video, and such is the case for Janelle Monáe’s “Q.U.E..E.N.” featuring Erykah Badu. It’s a grandiose museum exhibit in which a striped-out Monáe dances with lookalikes, while Badu walks the dog. Beyoncé’s influence is felt throughout, but Badu definitely brought the weird.